It's time for a new sketch at Freshly Made Sketches! Today we have a sketch by Narelle. This is the second time in the last few weeks hat I'm going to have to explain my card vs. the sketch. I'm generally a hard-core sketch follower. I'd like to say that it's even more challenging that way - this sketch must have two circles, a square and leaves. But in reality, I'm probably just not creative enough to be inspired vs. being exact. Here's my card for this week. I hope to see you playing along with us this week! It's time for a new sketch at Freshly Made Sketches! Today we have a sketch by Karren. 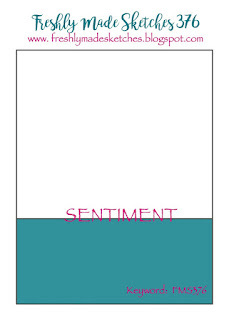 My card for this sketch is so simple, I'm almost embarrassed to show it. 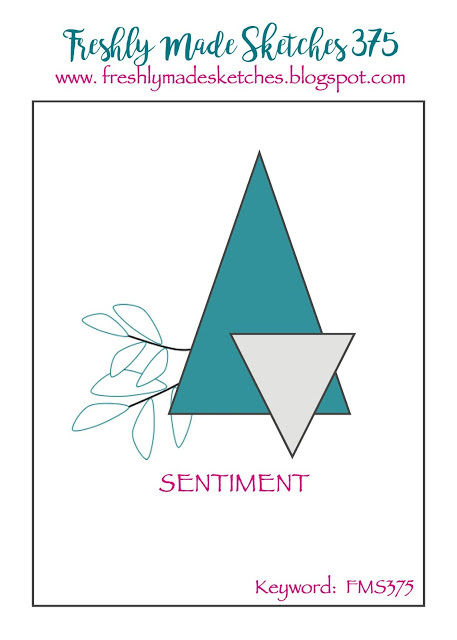 But I found this very detailed and unique sentiment in my stash and decided to take advantage of it. Sometimes I forget that every card doesn't have to be a struggle - or have a technique - or be unique. This sentiment just needed an embossed background, a piece of festive patterned paper - done!! 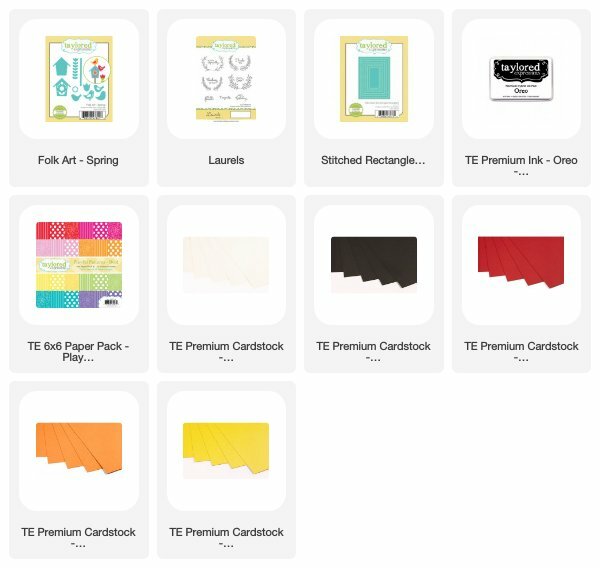 You have to admit that a non-crafter would have no idea how easy embossing folders and die-cutting really are!! I hope to see you playing along this week. I'm fascinated to see how many people take the easy route like I did - or how many fancy it up! 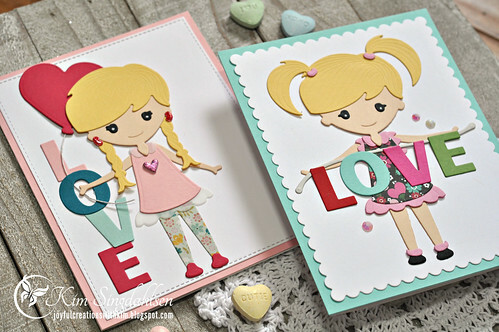 These little darlings come from the Spellbinders January Small Die of the Month Club. It's called First Crush. It's absolutely brilliant. 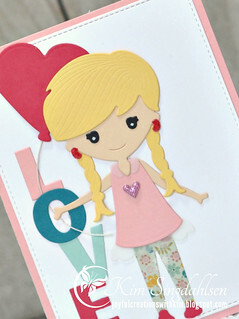 There are a number of dies that can come together in a myriad of ways - little girls, older girls, boys, different hairstyles - a classic paper doll set! I knew it would be perfect for my youngest niece. It might be a stretch for my oldest niece, although by the time I added earrings and cute leggings, I think it will work. Besides I just don't have that many more years for cute girl cards so I took advantage of it this year. I'm enamored of all of the little details. Obviously the hair is different - but notice that the main hair part is the same - and that's the piece that works for a little boy. I added ruffled sleeves to one and little socks. One has earrings - and that piece worked for pigtail holders for the other. Notice there are even different eyes that I think really changed the age of these sweet dolls. I had SO much fun. I'm not sure my nieces will enjoy receiving their cards as much as I enjoyed revisiting my childhood and playing with paper dolls!! It's time for a new sketch at Freshly Made Sketches! Today we have a sketch by Cécile. Last week, I found the sketch challenging but I was inspired by it and was thrilled with the results. I wanted so much to rise to this week's challenge. I wanted to create a bold, graphic card - totally out of my comfort zone. But at some point, I gave up. I do like my card but it's definitely not bold and graphic and I'm going to have to explain it! Do you see the sketch??? The clouds and sun are the big triangle. The umbrella is an upside-down triangle - at least for this sketch it is!! The lightning is the stem of greenery. Do you see it now? Probably not!! But at least it got me to pull out an unused set out and let it see some ink. I was thrilled recently when a friend was de-stashing and I am now the proud owner of a number of older Reverse Confetti sets (at least this one's not retired). I love them all - they were all on my wishlist and they just showed up in the mail one day. Thank you friend! To give it interest, I did pop them at a variety of heights. This picture shows it a bit better. 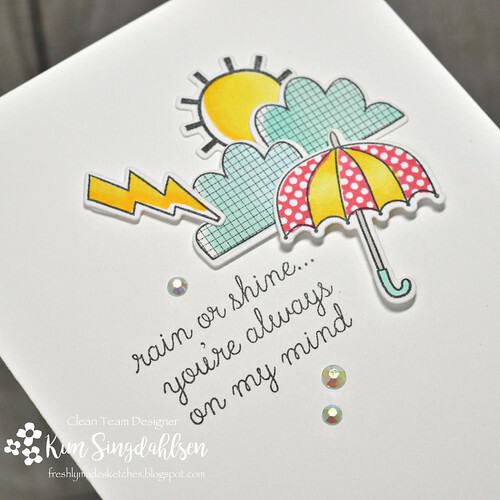 The top cloud and lightning bolt are on thin pop dots and the umbrella is on thicker. 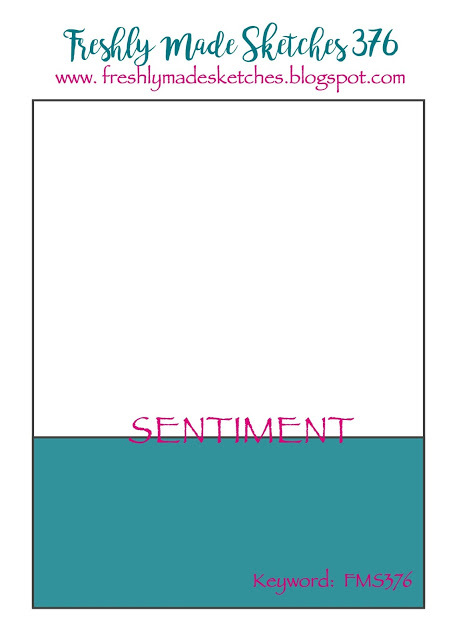 It's funny how a very simple card can be elevated with some dimension. I hope to see you playing along with us!! I love challenges! They take me out of my comfort zone and give me new ideas. Usually, one challenge is usually enough of a challenge...but this card uses three challenges!! I actually keep challenges in a spreadsheet (I know. It's a character flaw. Don't get me started on my books, playlists and pants-that-fit-me spreadsheets.) I knew there was a current bird challenge and I knew that with the Taylored Expressions release last week, I had some birds that I seriously wanted to use. 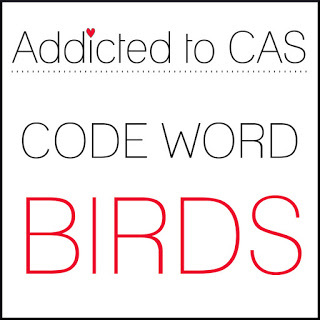 I flipped to my spreadsheet and right there across the spreadsheet for this week were three challenges that were perfect for my birds. 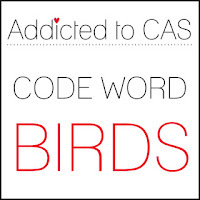 CAS(E) this Sketch has three little images and I figured a birdhouse and two birds equals three! Fun thing - this is a retro sketch with the original being from June 2013 when I was actually on the design team! This card is what I did the sketch almost six years ago. Here are the little birds again. I did cut their little perches separately and I cut the birdhouse in black and trimmed off a piece for the roof. 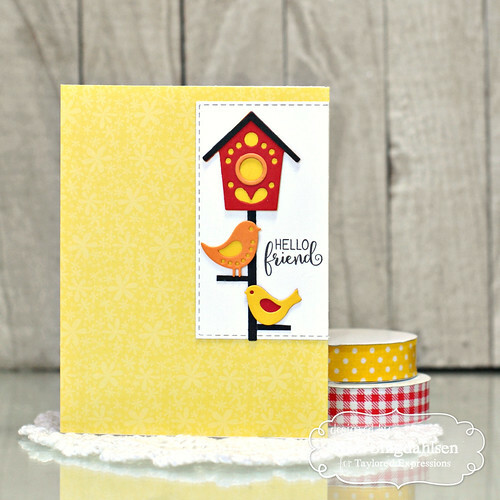 I wanted an itty-bitty friendship sentiment and found it in an entirely different set, Laurels. I love the Scandinavian Folk Art look and am thrilled that there are more in the collection with more to come! 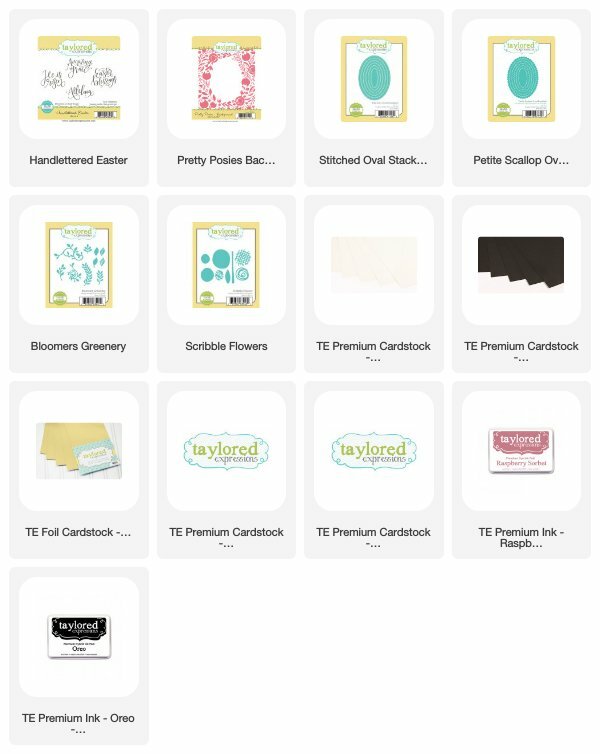 Check out the new release category at Taylored Expressions to see what's new. It's the big day! 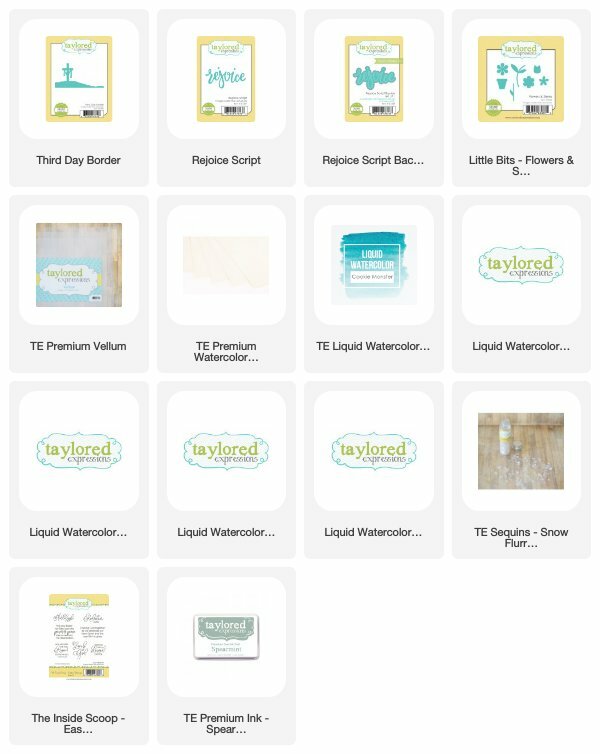 All of the Taylored Expressions products that you've seen through sneak peek week are now available - and I have a few more to show you. 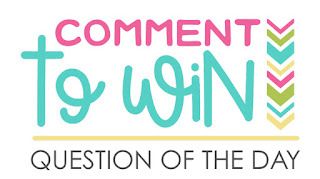 Be sure to head over to the Taylored Expressions blog for a few more peeks - and to see if you've won a prize! 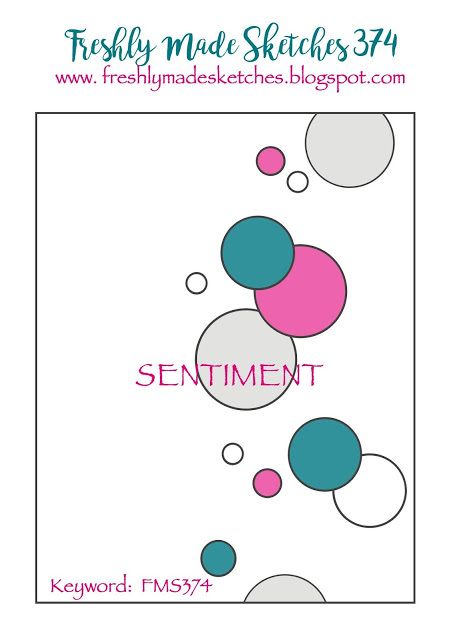 There are two wonderful new sets of Christian sentiments - perfect for Easter. This card uses Words of Faith - Easter. The sentiment isn't the only new item on this card. The base color is Peaches n' Cream. 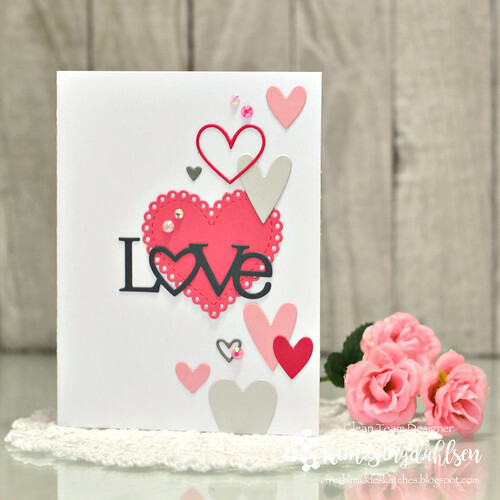 I embossed the sentiment with Rose Gold Fine Detail Embossing Powder - it's a lovely match. The Petite Scallop Rectangle Stacklets is also new. 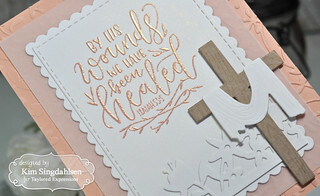 The cross is the previously released Old Rugged Cross which comes out for my cards every single Easter! I gave it a little texture with the Woodgrain Background. The floral border along the bottom isn't new - but I'm stretching it. It's In Season and was actually part of a calendar release. It's an accent with the Walnut Wood Calendar Stand to add seasonal decoration to your calendars - it includes all four seasons. It doesn't stretch all the way across a card, but I love it on these smaller panels. 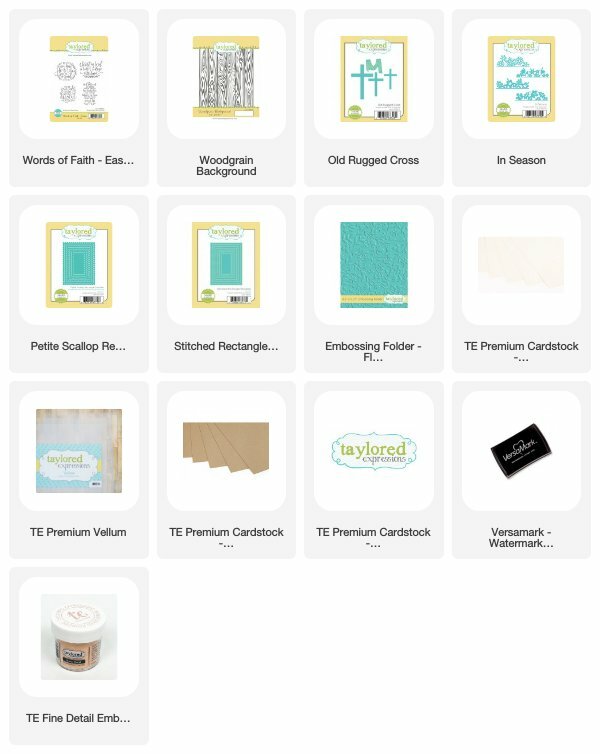 This is the supply list for this card but keep reading for a final peek. 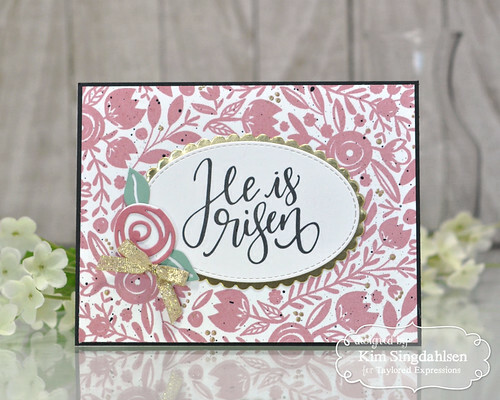 Another new beautiful sentiment set is Handlettered Easter along with a beautiful background for it - Pretty Posies Background. I've used more new colors on this card Raspberry Sorbet and the leaves are Spearmint. Such an elegant combination. The flower is the previously released Scribble Flowers and I used leaves from Bloomers Greenery - both have the same open look as the background. No more chatter from me - the TE store is open! 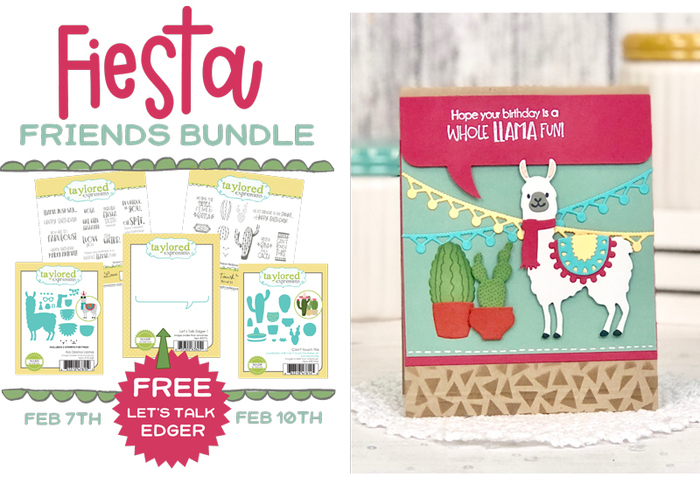 It's day 3 of sneak peeks for the February release from Taylored Expressions and I'm stepping away from Easter sneak peeks to some charming critters and fun cacti. Everything you see this week will be available on Thursday, February 7th. Be sure to check out each of the creative team members' blogs for all of the sneak peeks - starting with the Taylored Expressions blog. You cannot tell me that these guys don't make you grin!! This is going out to my son for his 23rd birthday. He's at college and has a good group of friends to celebrate with. 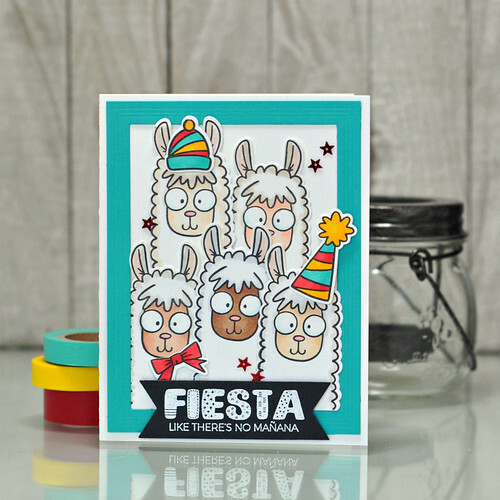 He and his friends are still young and wide-eyed so I definitely envisioned them as I was making this card! 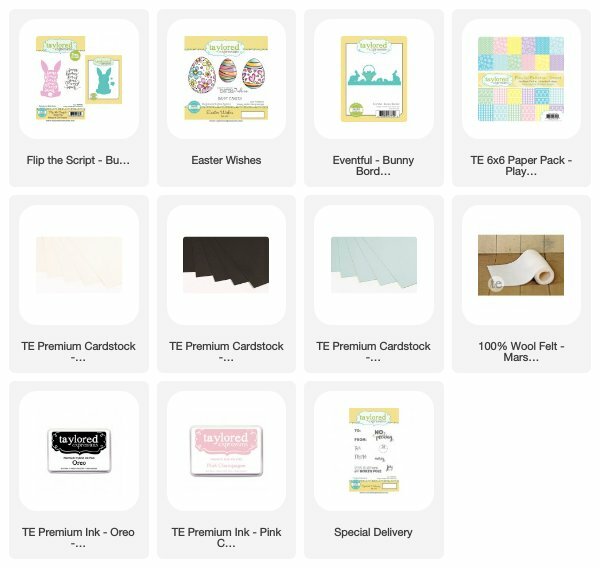 Here's the supply list for this card. Keep reading because I have another sneak peek and a chance to win prizes! Remember that the new links won't work until Thursday. Taylored Expressions is celebrating Release Week with a a giveaway during each day of sneak peeks! 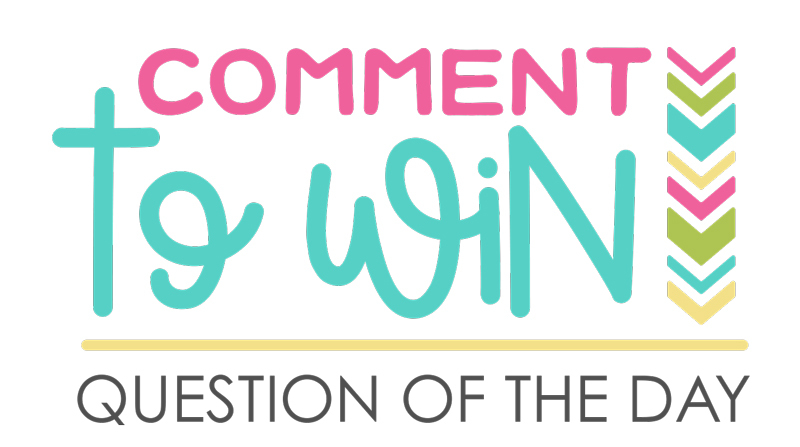 Visit the TE blog to answer Taylor's Question of the Day for a chance to win one of the latest products before you can buy it! Another new set this release is Can't Touch This - LOVE the name since it's a set of cacti! 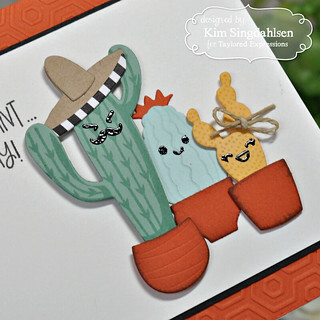 It's a great all-around set because with the great detail on each cactus they can stand alone and be quite nice - or you can add their faces and they are very cute! The coordinating die set also has a sombrero and a variety of pots so I "planted" my cacti and dressed them up for a party. 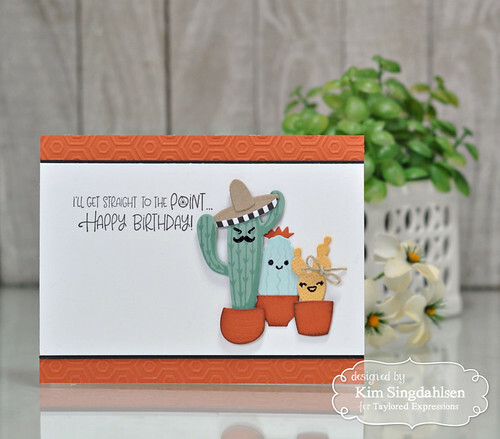 I used a birthday sentiment but there are a variety of other options such as "pretty fly for a cacti" - fun!! There's a special deal with this set. 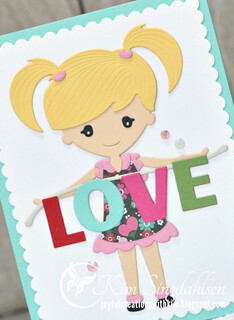 Check out the fabulous stamps and dies - and you get a freebie with the bundle!! Tomorrow is release day! I'll have a few more peeks focused on Christian Easter sentiments. Head over to the TE blog for more sneak peeks, then be sure to come back tomorrow. SUPPLY LIST Remember that the new links won't work until Thursday. 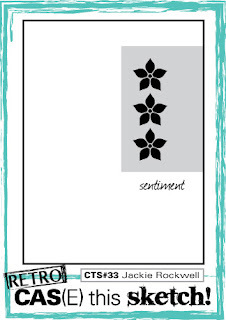 It's day 2 of sneak peeks for the February release from Taylored Expressions. Today I'm sharing kindness and I am rejoicing! Everything you see this week will be available on Thursday, February 7th. 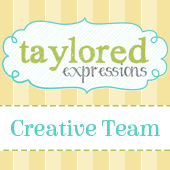 Be sure to check out each of the creative team members' blogs for all of the sneak peeks - starting with the Taylored Expressions blog. I love the words "kind" and "kindness". I don't think we use them enough (nor probably even display it enough.) 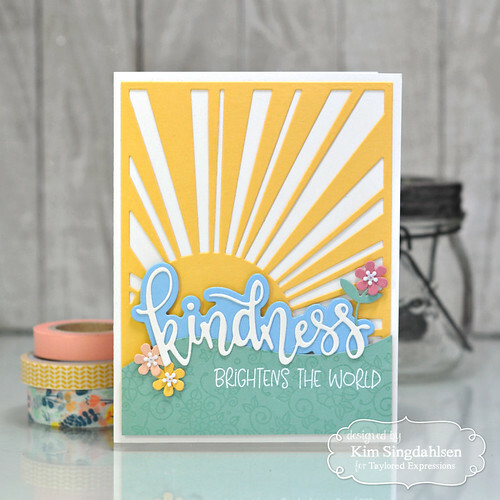 So I was thrilled with the new Kindness Script and Kindness Script Backer along with the coordinating sentiments in Plant Kindness. 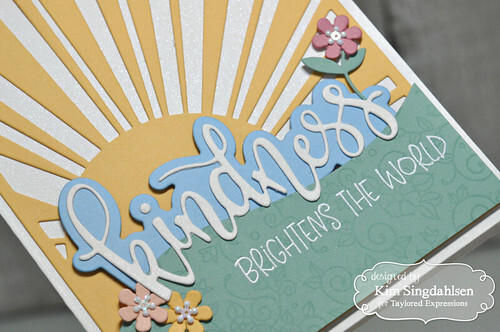 The sentiments in the set are all beautiful, but I sincerely believe that kindness "brightens the world". With the sentiment in mind, I paired it with the previously released Sunshine Cutting Plate, then added a rolling hill and some time tiny flowers. The other very exciting thing on this card is three new colors!! Beautiful, subtle colors! The ground is Spearmint which, if you follow my blog, was the second green I added on the yellow card on this set from the past weekend (it pairs beautifully with Mint Julep). The pink flower is Raspberry Sorbet and the peach is Peaches n' Cream (you'll see more of these two colors as the week goes on). The third flower and the sun is the previously released Pineapple and the blue that's just right with those colors is the previously released Gumball. Yesterday I had Easter bunnies; today it's the true meaning of Easter. 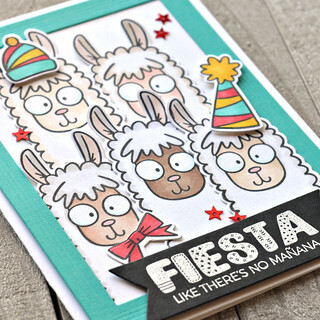 I used the new Third Day Border on this card. It's hard to see on the above photo, here you can see that the entire ground is part of the border die so I popped the whole thing up. The sentiment is the previously release Rejoice Script with the Rejoice Script Backer behind it in vellum. Here's another way to use the new Third Day Border. 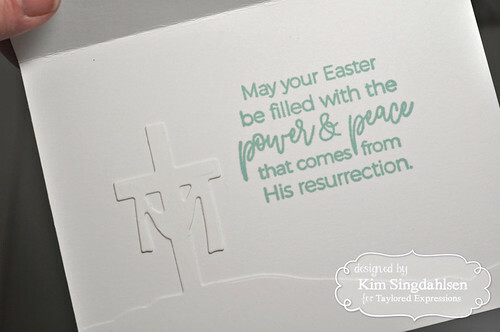 I did tone-on-tone for the inside, along with a sentiment from the brand new The Inside Scoop - Easter Blessings. I'm wishing I would have done more of these while I had everything out. Such a meaningful Easter card. But I do have two more Christian Easter cards coming on Thursday so come on back. I'll do a brief sidetrack tomorrow with some some very fun critters and cacti! 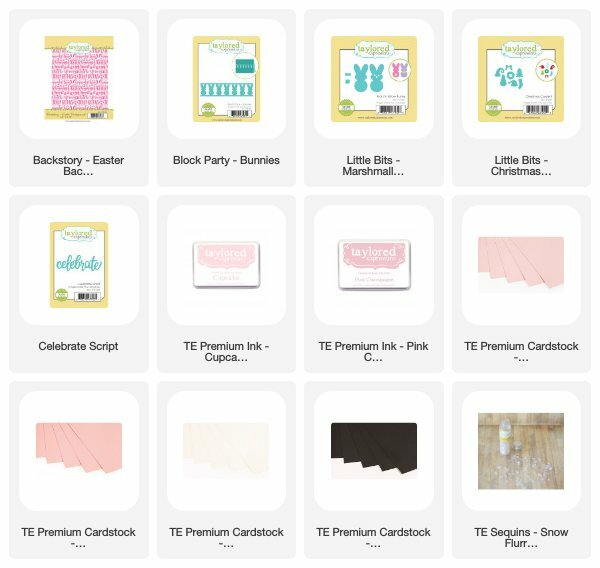 It's day 1 of sneak peeks for the February release from Taylored Expressions and we are thinking spring and Easter with some other fun occasions thrown in. (Thinking ahead to spring will be a nice change from the bitterly cold weather for most of us, right??!) You'll see an amazing variety over the next few days. Everything you see this week will be available on Thursday, February 7th. Be sure to check out each of the creative team members' blogs for all of the sneak peeks - starting with the Taylored Expressions blog. I'm starting out with a pink Easter-themed card. After rich fall colors, traditional Christmas colors, then reds for Valentines - it was wonderful to pull out the pinks. I went all out with two different pinks on the the new addition to the Backstory lines of stamps with Backstory - Easter Background (The first was for Valentines.) This background has so many fun elements. Not just the words, but there are eggs, and bunny ears and jelly beans - such a fun and interesting background. Using a Misti, I stamped with Cupcake, then restamped just the center areas with Pink Champagne. I thought that the previously released Block Party - Bunnies die along with Little Bits - Marshmallow Bunnies (which fits perfectly on one of the Block bunnies) would be the perfect decoration with the background. It's a strip in the middle so doesn't cover much of the Backstory. 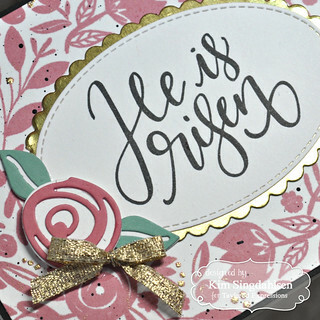 I also didn't want to cover it with a sentiment so used more pink with the Celebrate Script die. As a total sidetrack, notice the bow on the bunny's ear. The die actually comes with a bow-tie but because this will be going out to one of my sweet nieces, I wanted it to be more girly. The Taylored Expressions store has fabulous search capabilities (and I hear it's going to get even better.) 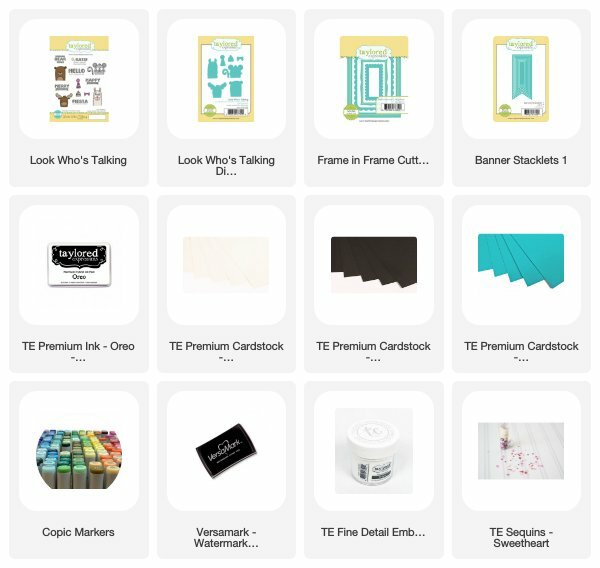 I use it all the time when I'm shopping or crafting. In this case I searched on "bow". You don't just get products with bow in the name - you get every die set or stamp set that has a bow no matter how small an element it is. Try it. I typed in "bow" and found exactly what I wanted in the Little Bits - Christmas Confetti set!! If you are shopping, try "unicorn" or "raccoon" and you'll get them all no matter which set they are in! 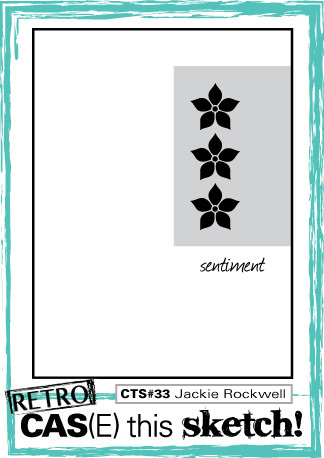 We also have an addition to the Flip the Script line which are stamps that have a solid image and the same sentiment that can be used for cards or tags. 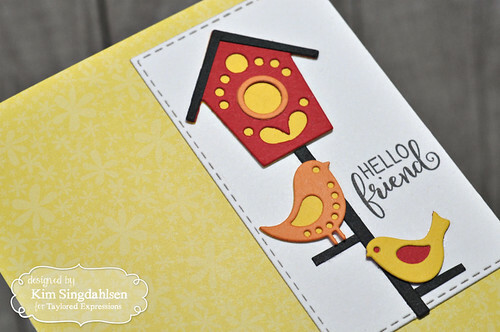 It's Flip the Script - Bunny Tag Stamp & Die Combo. I decided to put the bunny in an Easter scene so I used the previously released Eventful - Bunny Border. I cut it once in Sugar Cube and layered it on another in Oreo to give it a shadow. The paper is from the Paper Pack - Playful Patterns - Sweet. 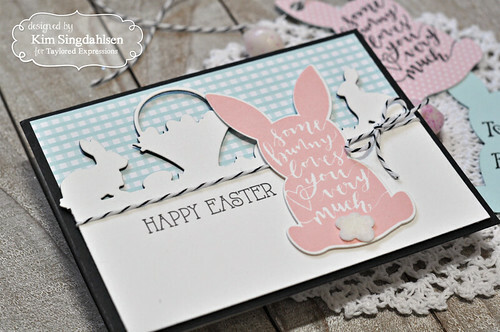 I found the sentiment in another older set, Easter Wishes - I wanted it to be plain to contrast with the fun font on the bunny. I love that everything coordinates and now I have a full set that is quick and easy! Today was a cute Easter day. Tomorrow I have a Christian Easter card (with more on Thursday) and a bit of kindness! Head over to the TE blog for more sneak peeks, then I hope you come back tomorrow. so if you don't have time to read the post now, scroll to the bottom. I love to give card sets as gifts. I get the joy of making them and it is a wonderfully personal gift. Maybe my friends would prefer a Starbucks Gift Card or something from the local brewery, but I don't think so. I know they value these cards because they use them. (Although we still find time to meet at Starbucks and the brewery!) I was at a friend's house and on her fridge was a card that she received from another friend to whom I had given a gift set. BTW - don't ever think that hand-crafted cards aren't totally appreciated. Years ago, this was a little hobby for me. 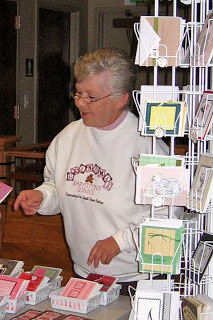 Then I started sending regular cards to a friend who was battling cancer. At one point in her battle, she was interviewed for a TV spot - she was in her office and covering the walls of her office were my cards. That wasn't the point of interview - they were just there and clearly had profound meaning to her. At that moment, my hobby turned into a passion! Back to the point of this post. 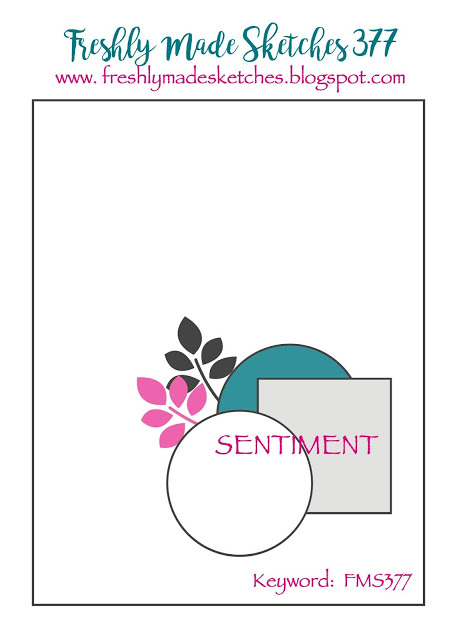 Taylored Expressions has been a series all week with each designer showing an idea for a set of cards that is simple to create. (Start here and work your way forward.) 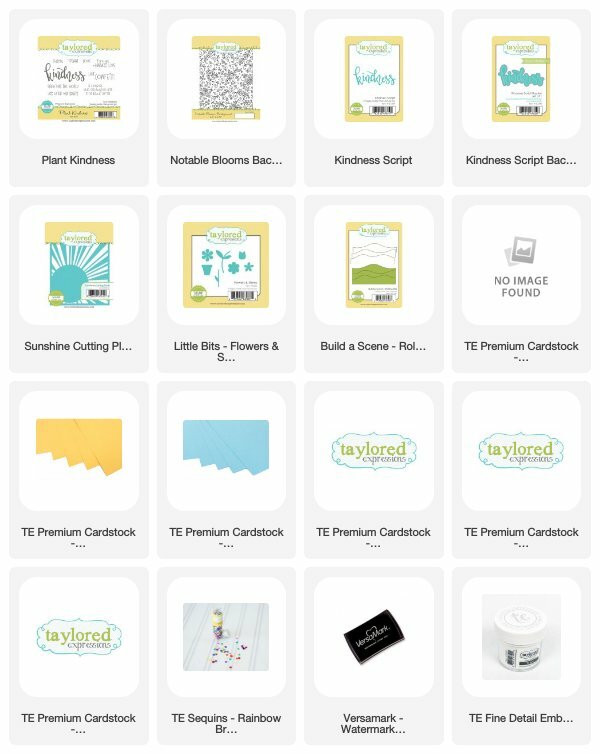 One of the reasons that I am passionate about Taylored Expressions is their constant emphasis on "sending joy" so they have a wide variety of products to let us do that! Here's my set. 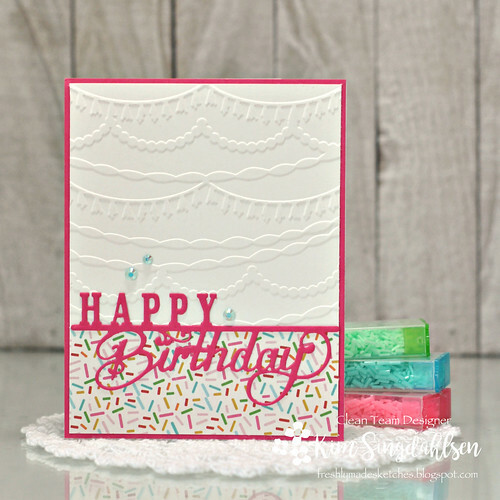 In my experience, an embossed background looks like magic particularly to a non-cardmaker. (We'll never tell them how easy it is, will we?) 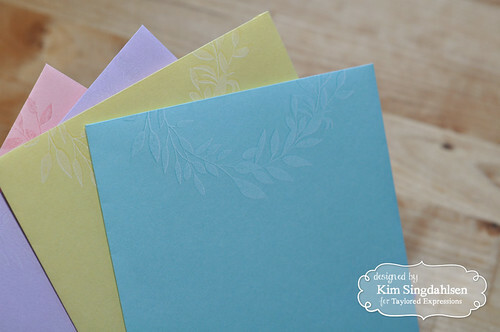 Just for fun, I used four different embossing folders, but you could simplify even more and use the same folder. I also used a variety of colors and a variety of greens on each card. 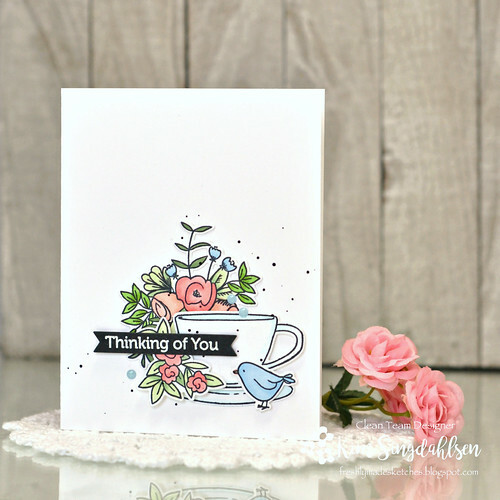 I picked greens to match the mood of the card but you can certainly simplify and use just a couple of greens - the colors of the berries and the bow change the mood. Here are each of my cards and the colors. Did you notice the last card was missing a green ink pad? That's because I cheated and used something you'll see next week. If you love Mint Julep - rejoice!! Because there's a new color that's part of next week's new release that matches perfectly!! 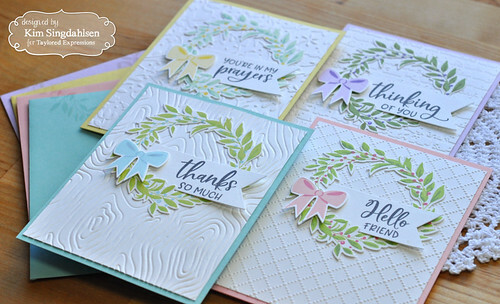 Tip: Another way to simplify would be to use a die-cut bow instead of the layered stamped bow that comes with the stamp set. Taylored Expressions has a variety of bows - I particularly like Little Bits - Bows. Two more things to make this set extra special. First - I added colored envelopes and lightly stamped the wreath on them. 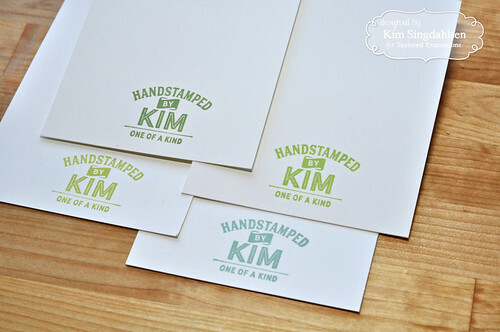 I first stamped in Sugar Cube white, then I moved the envelope just the tiniest little bit and stamped the matching color to the envelope. 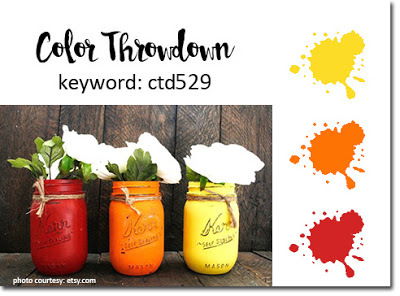 It gives it a dimensional look and it's very quick and easy! Then right when I was finishing these up, Taylored Expressions came out with a new product that was the icing on the cake - personalized "Made by Me" stamps. Never forget that the cards you create are little works of art - and art is signed, right? I think "signing them" makes cards even more personal - and I love these new stamps. AND...they're now available to everyone in the Personalized Pop-Up Shop on the TE website! 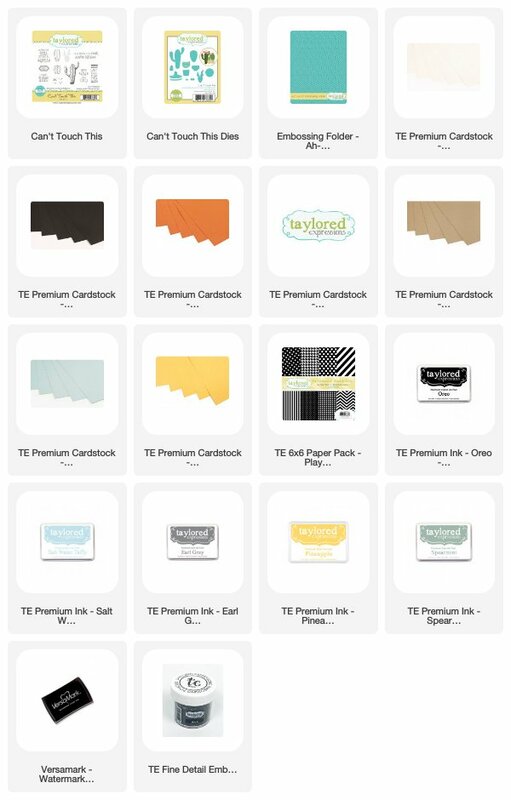 The first Pop-Up collection includes four stamps featuring Taylor-made designs that you can customize with your name and, in some cases, your website address. 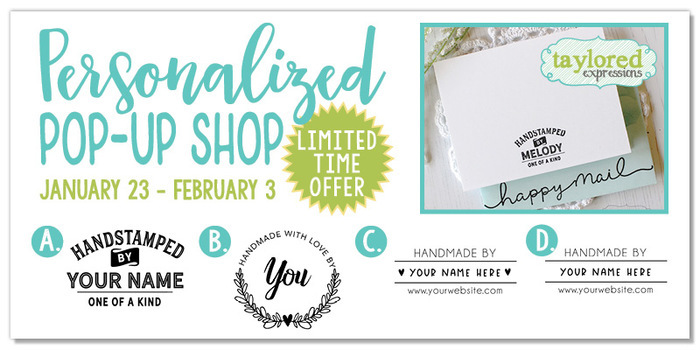 The Personalized Pop-Up Shop will only be open through February 3rd (that's tomorrow!) 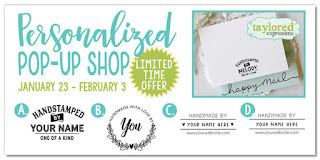 so visit https://www.tayloredexpressions.com/popupshop.html to get your personalized stamp today!